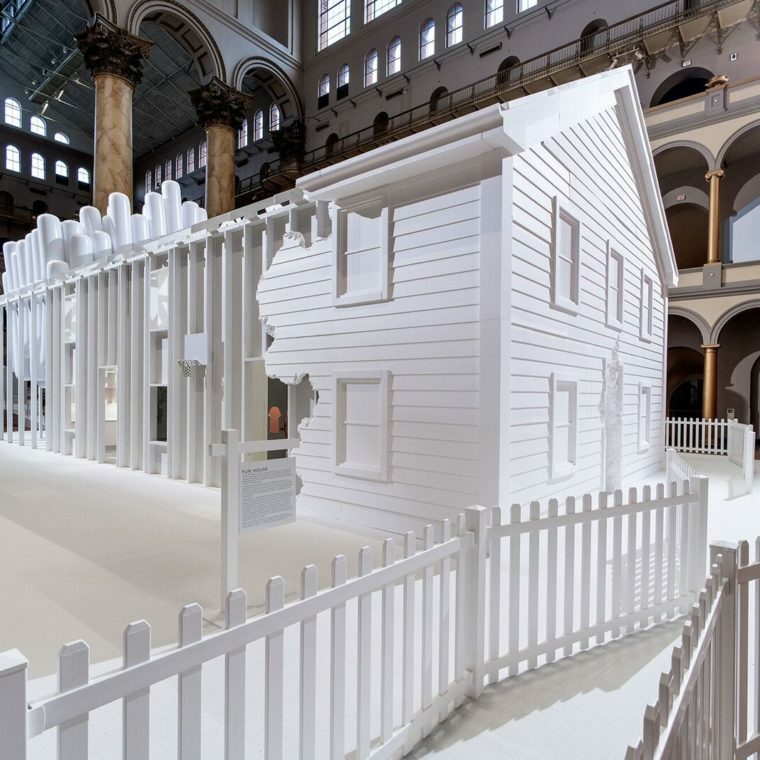 Fun House is now closed. 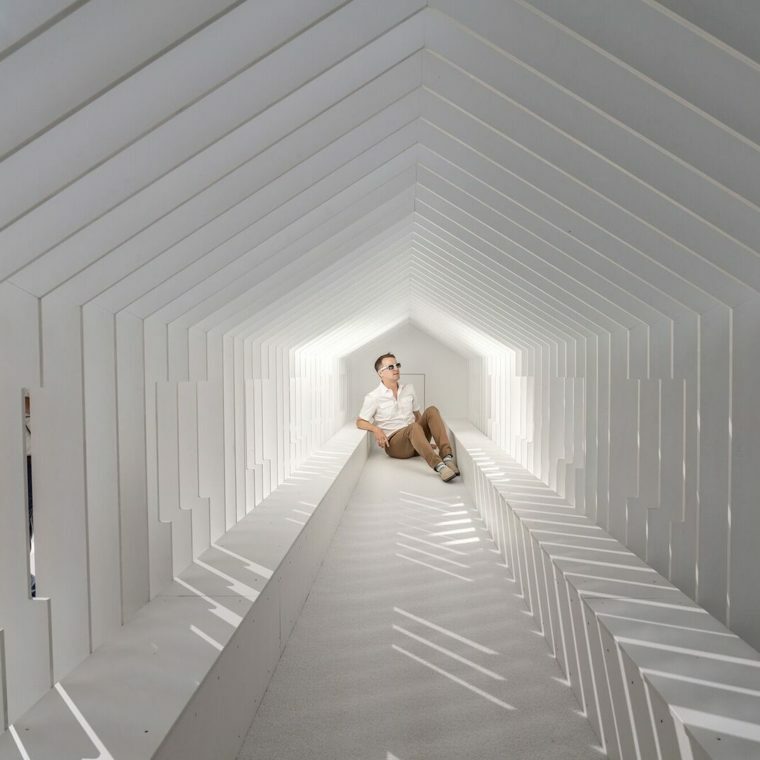 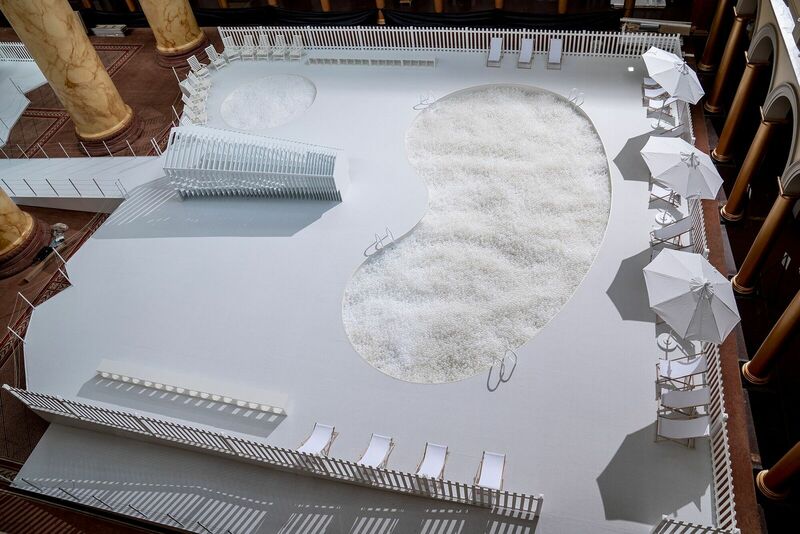 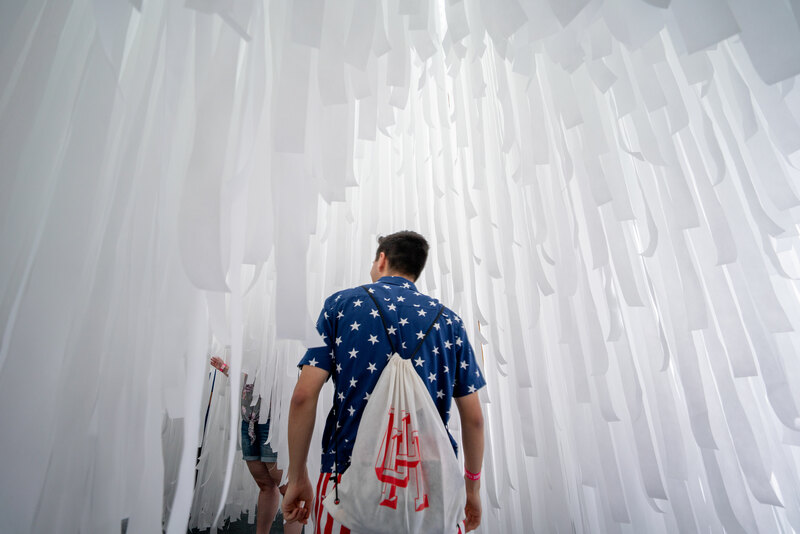 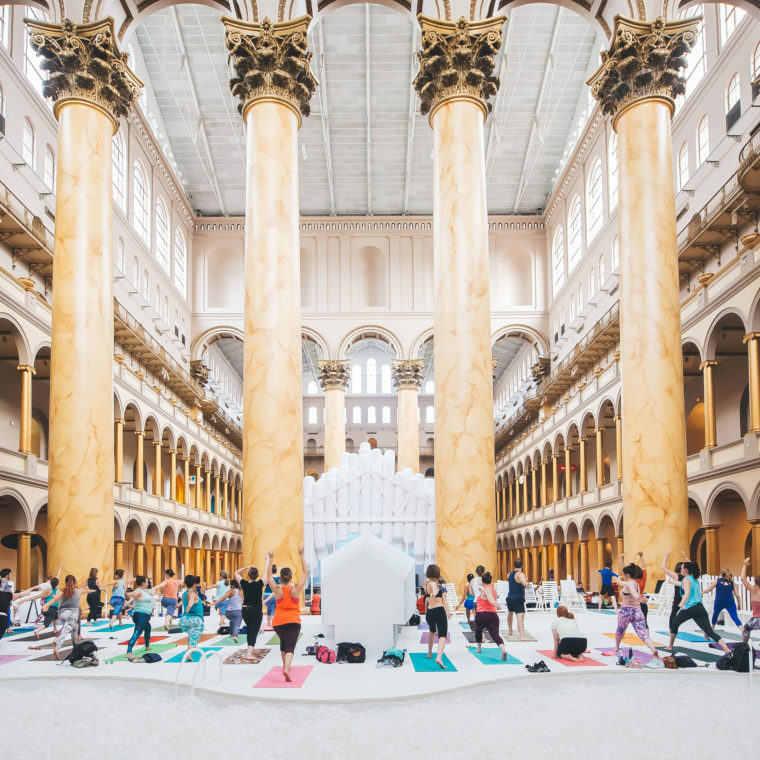 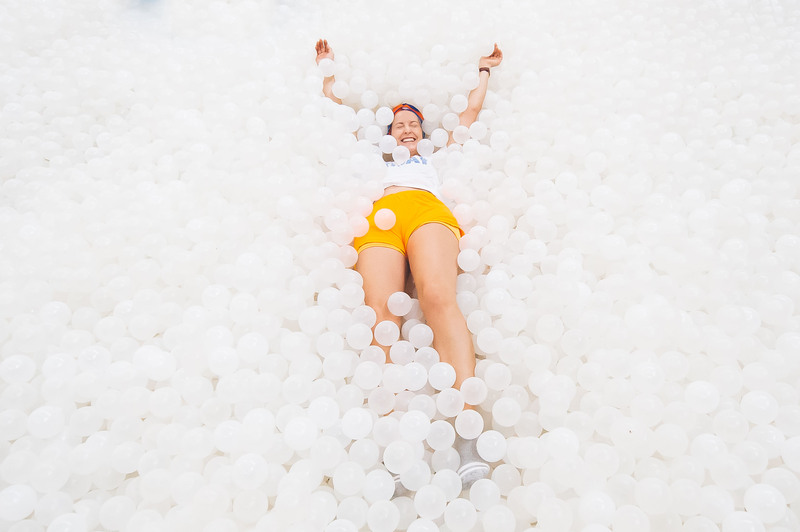 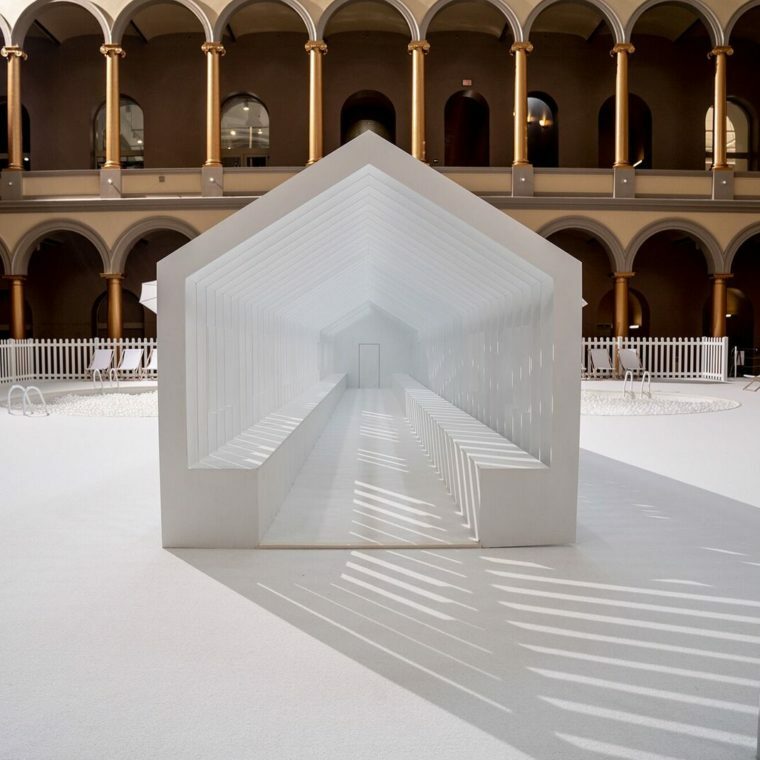 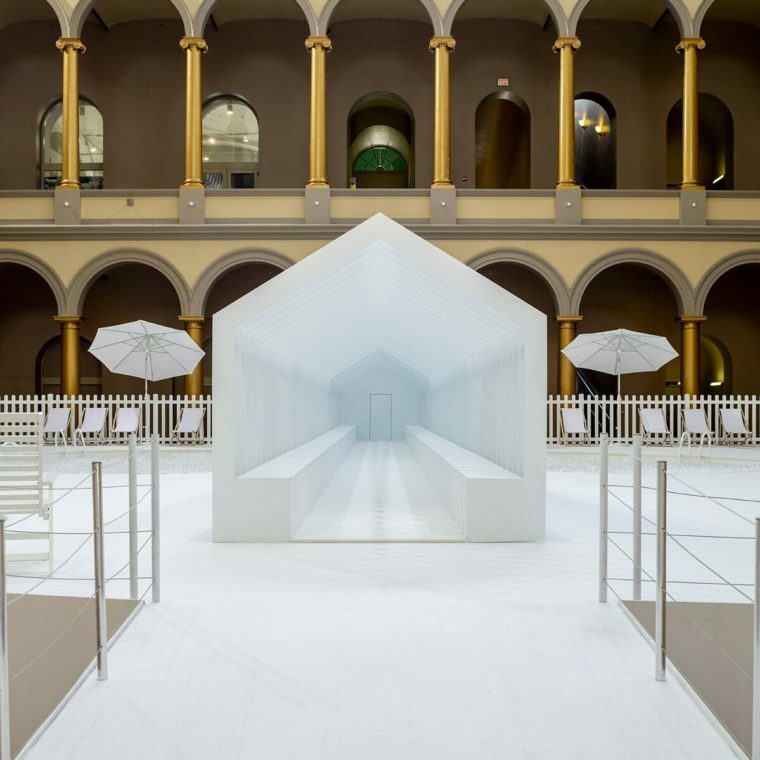 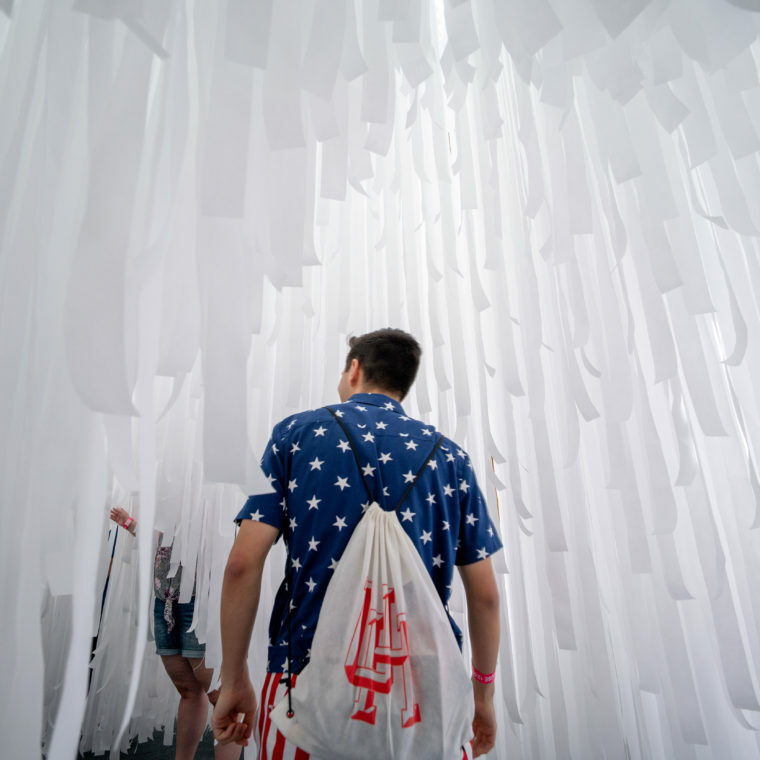 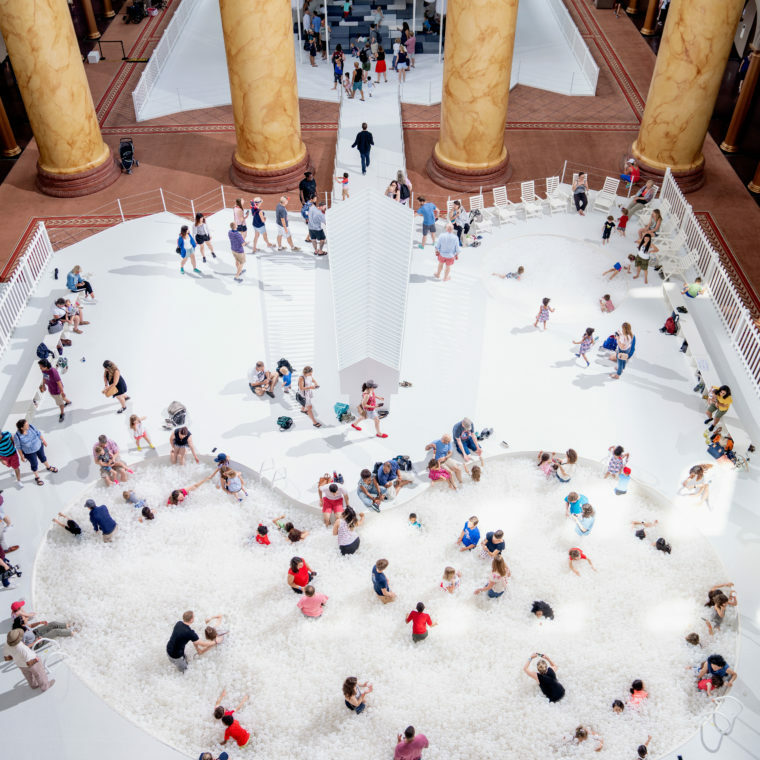 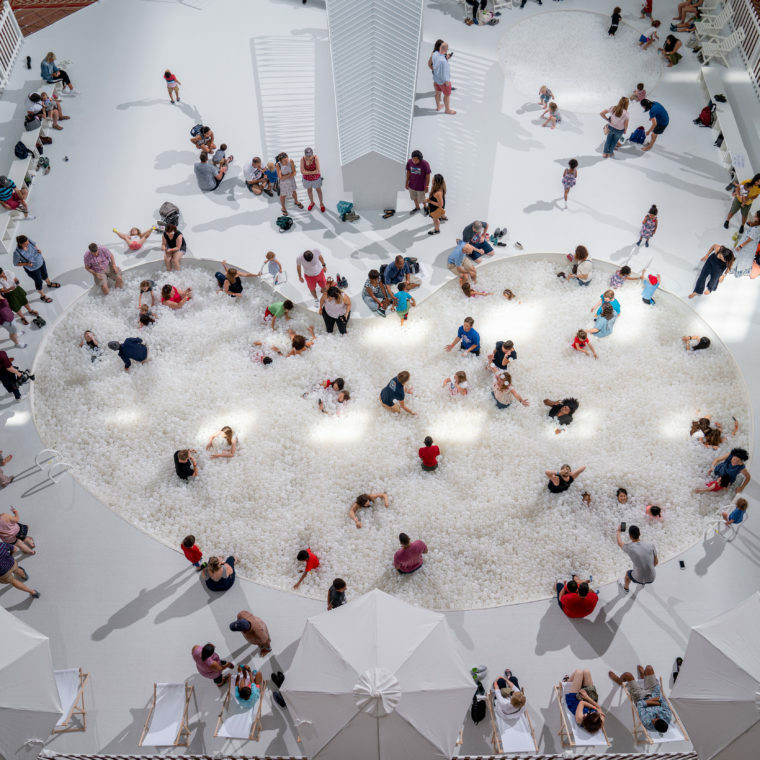 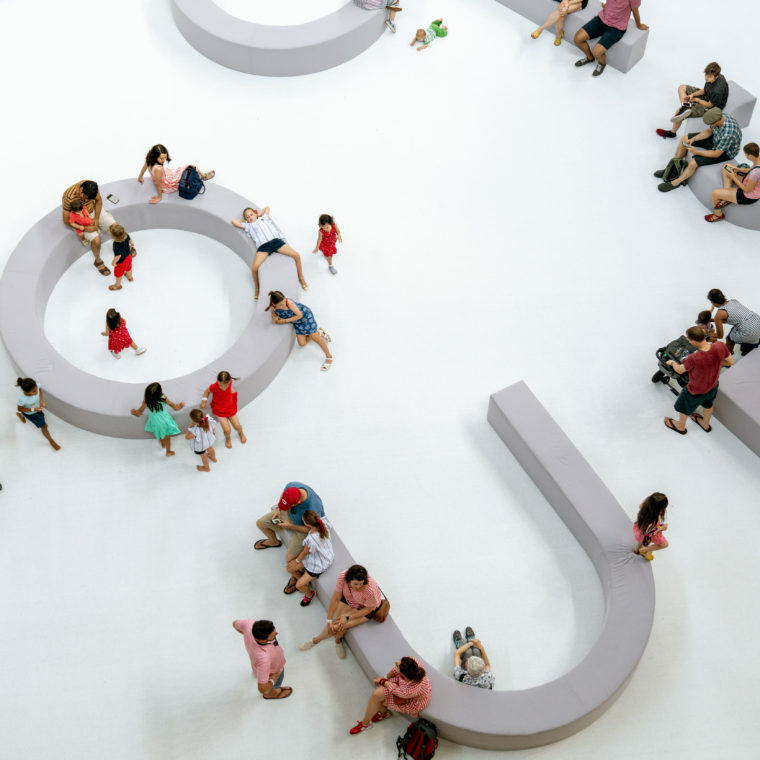 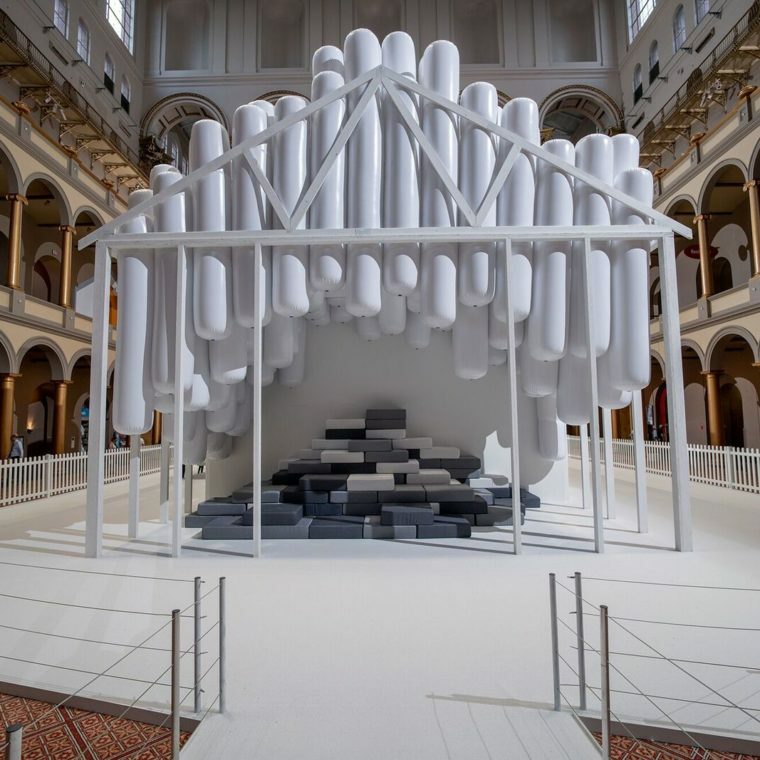 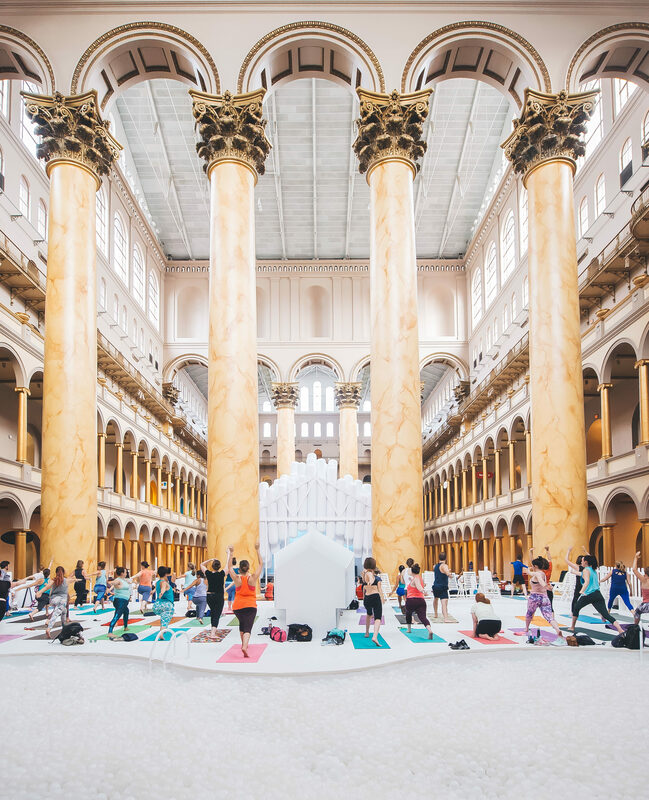 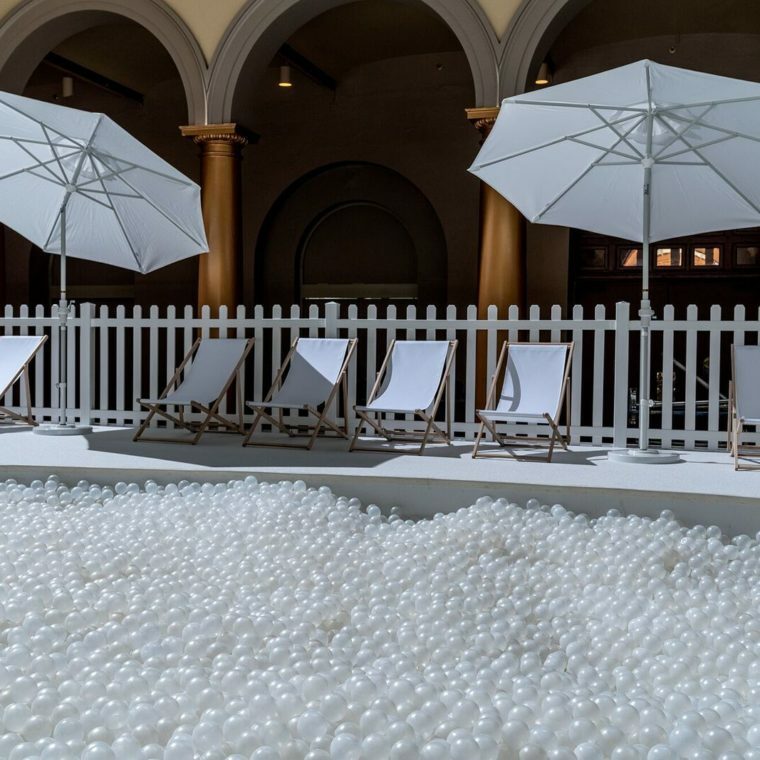 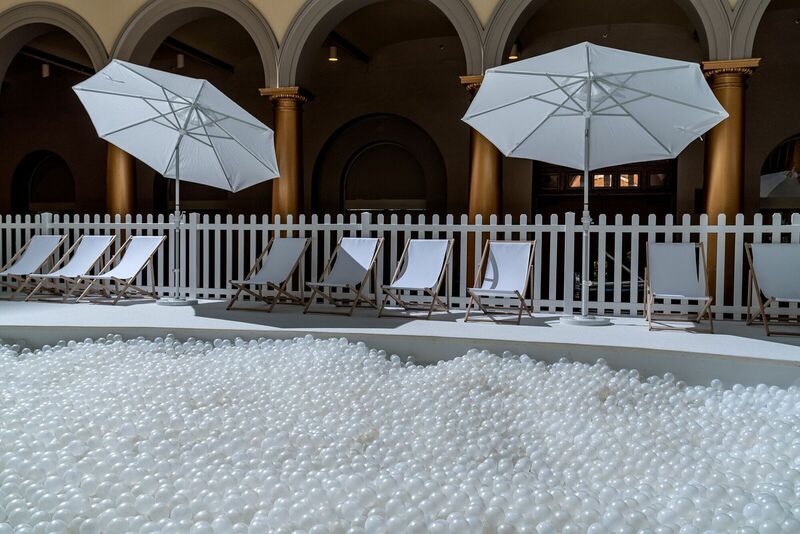 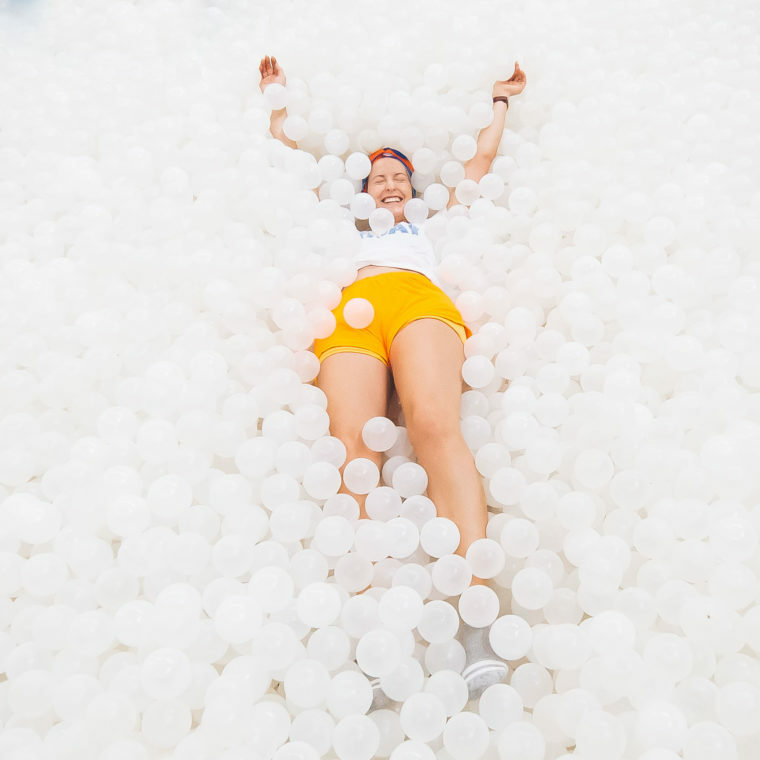 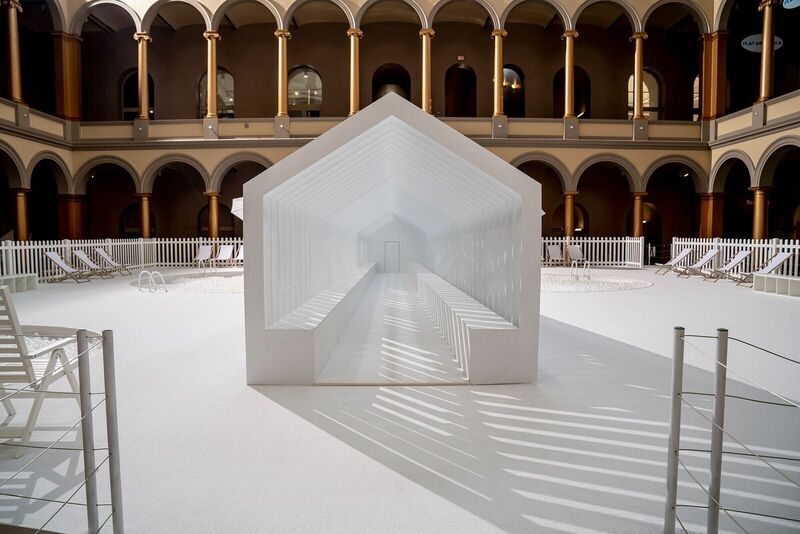 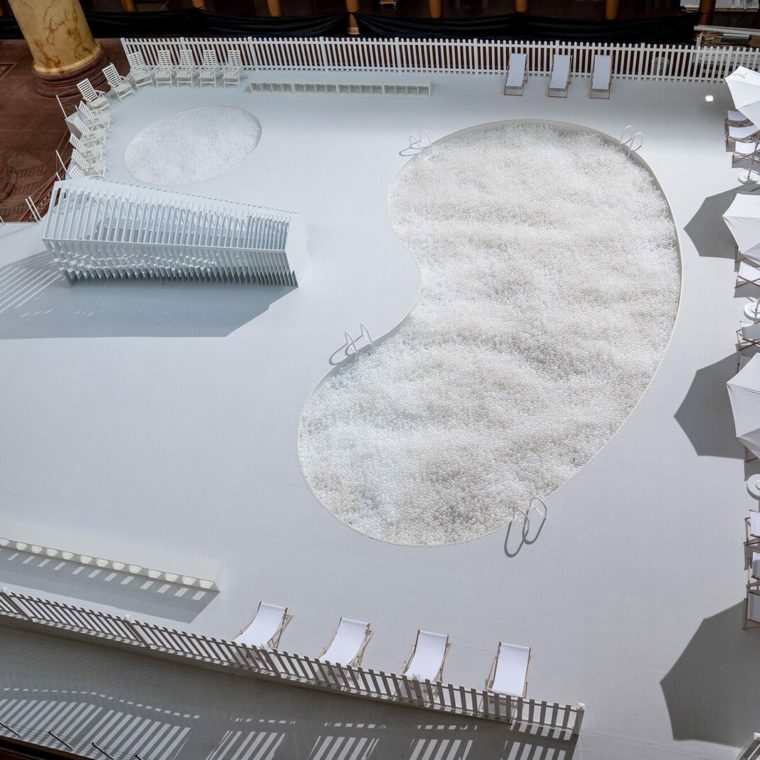 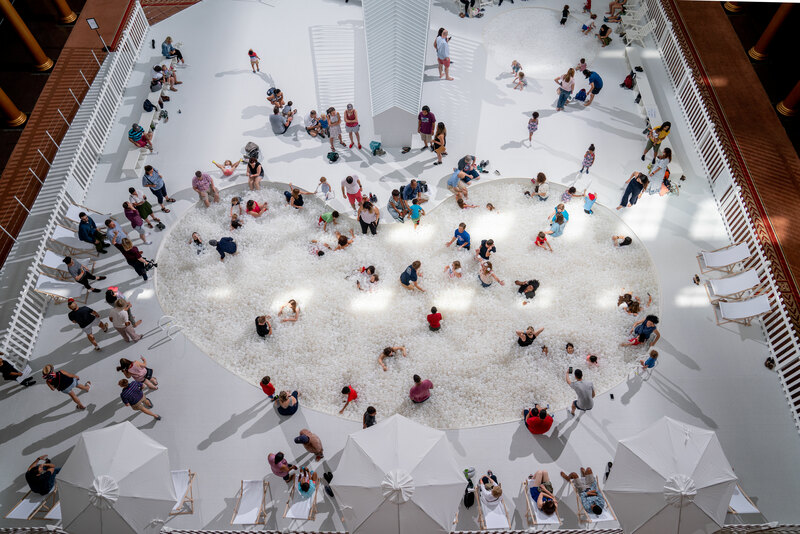 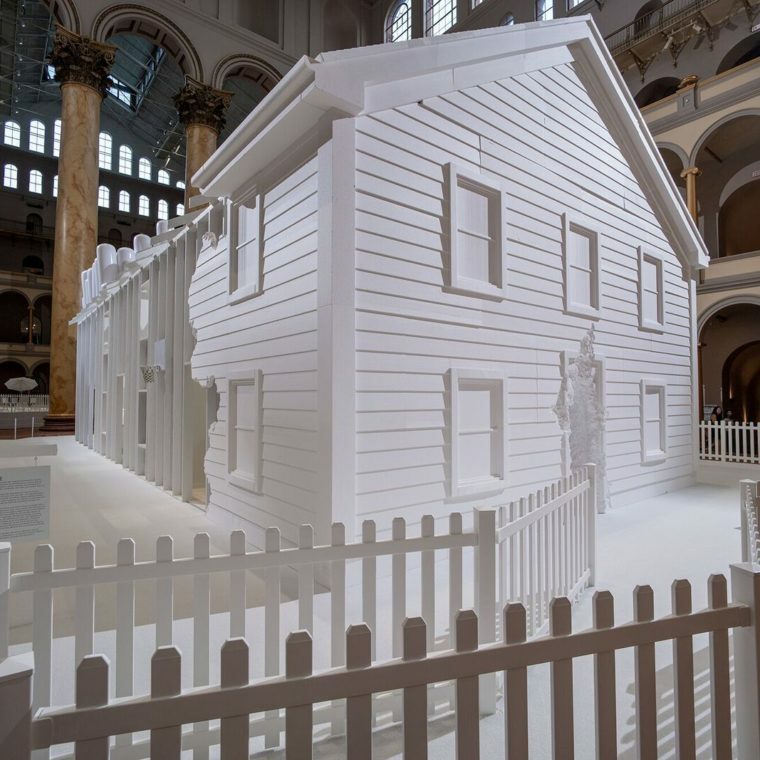 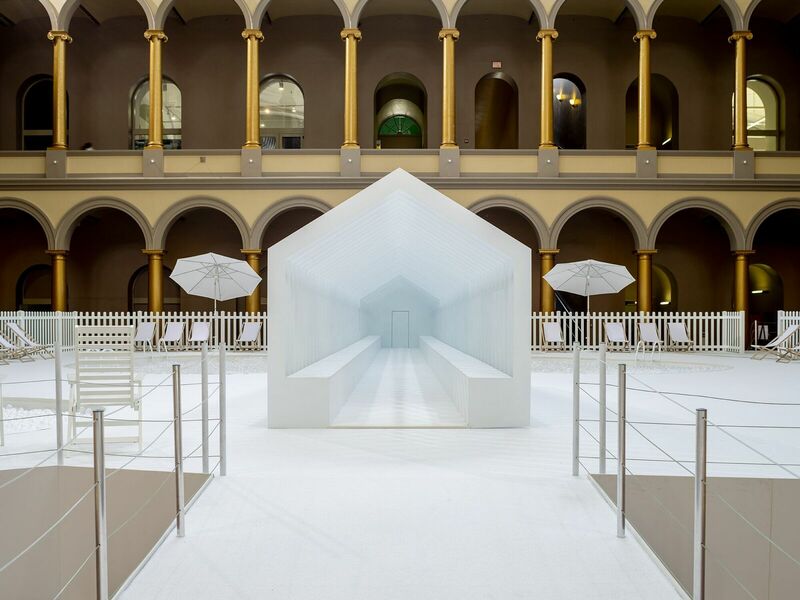 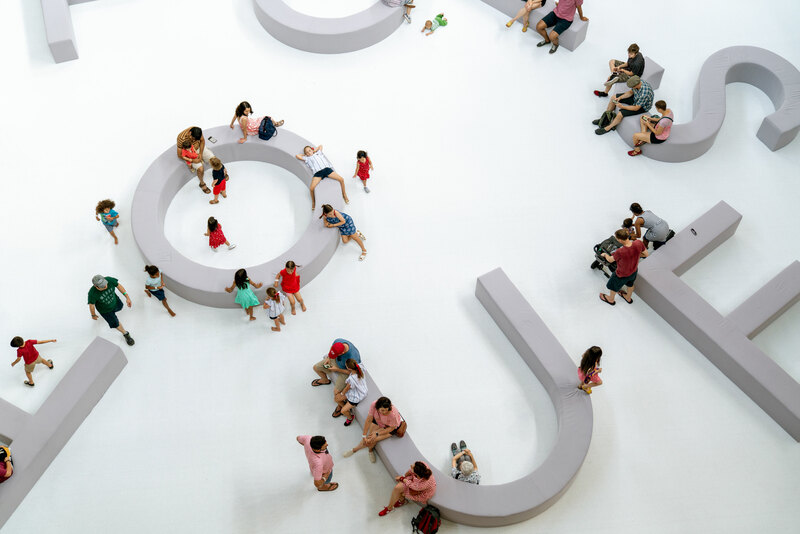 Fun House, designed by Snarkitecture, is the latest in the Museum’s imaginative Summer Block Party series of temporary structures inside its historic Great Hall. 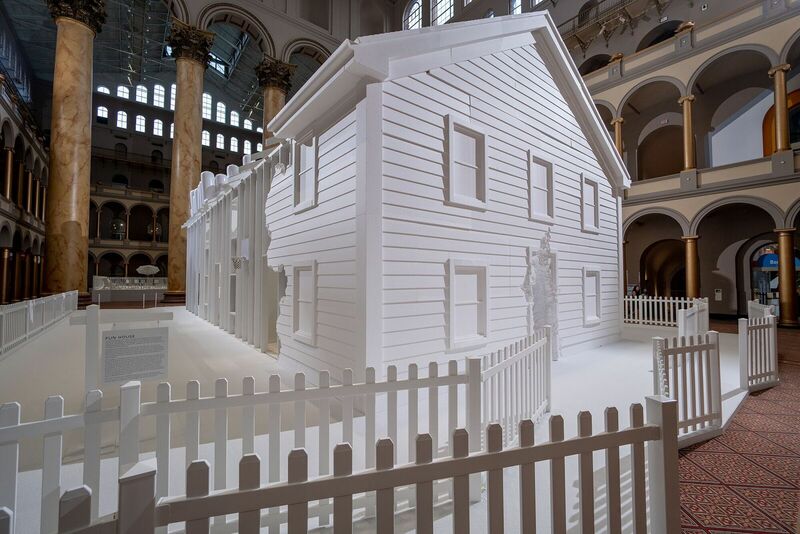 Fun House is Snarkitecture’s first comprehensive museum exhibition, examining the prolific activities of the studio throughout the entirety of the Great Hall. 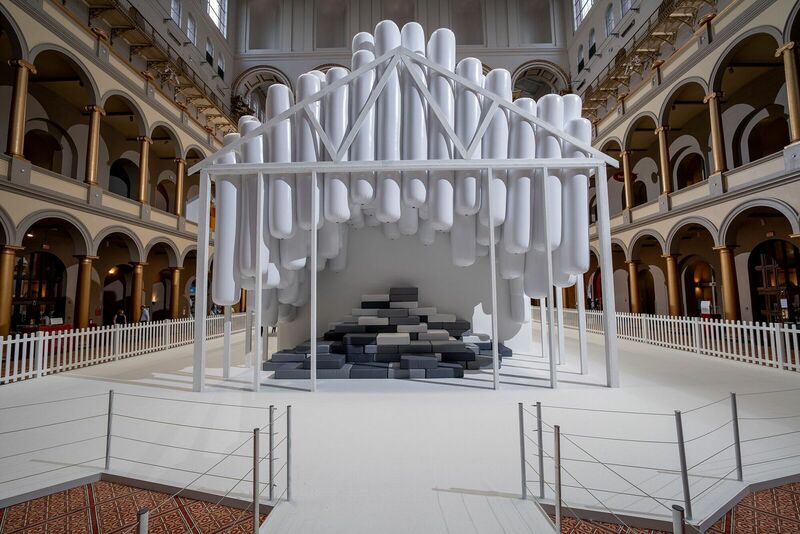 Curated by Italy-based Maria Cristina Didero, the heart of the exhibition is presented within a Snarkitecture-designed house—a freestanding structure that recalls and re-imagines the idea of the traditional home. 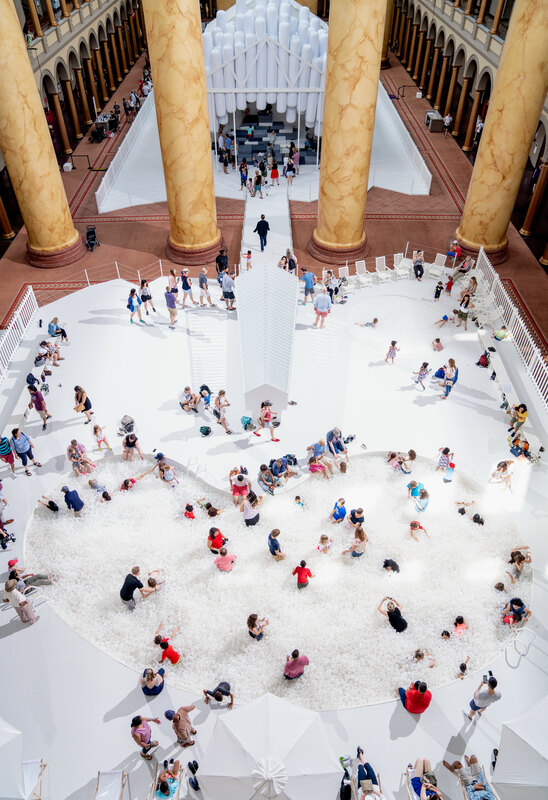 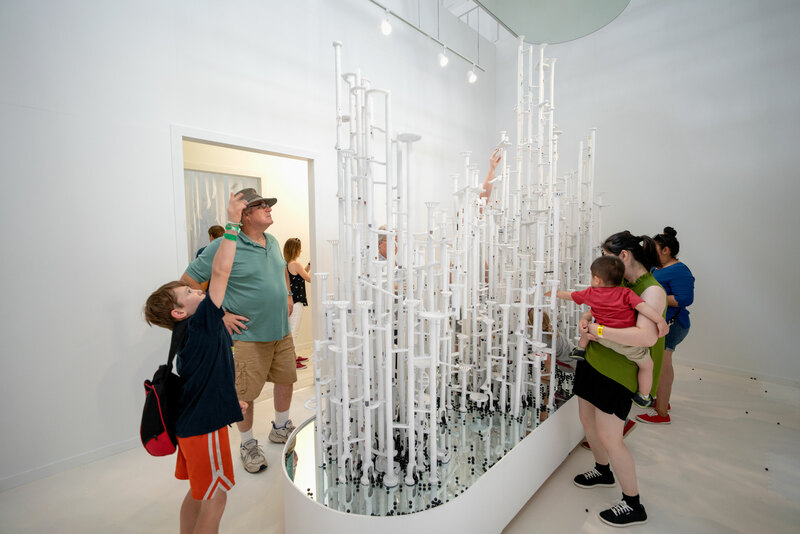 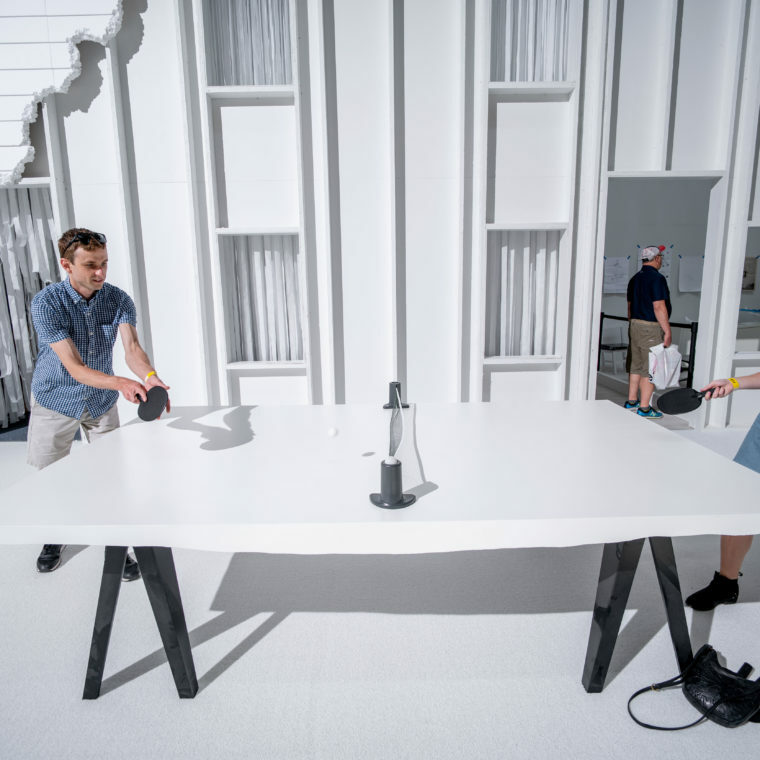 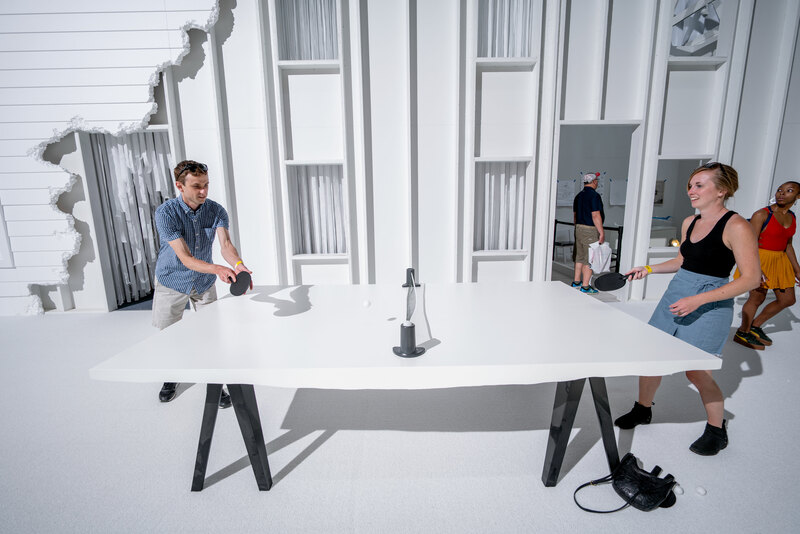 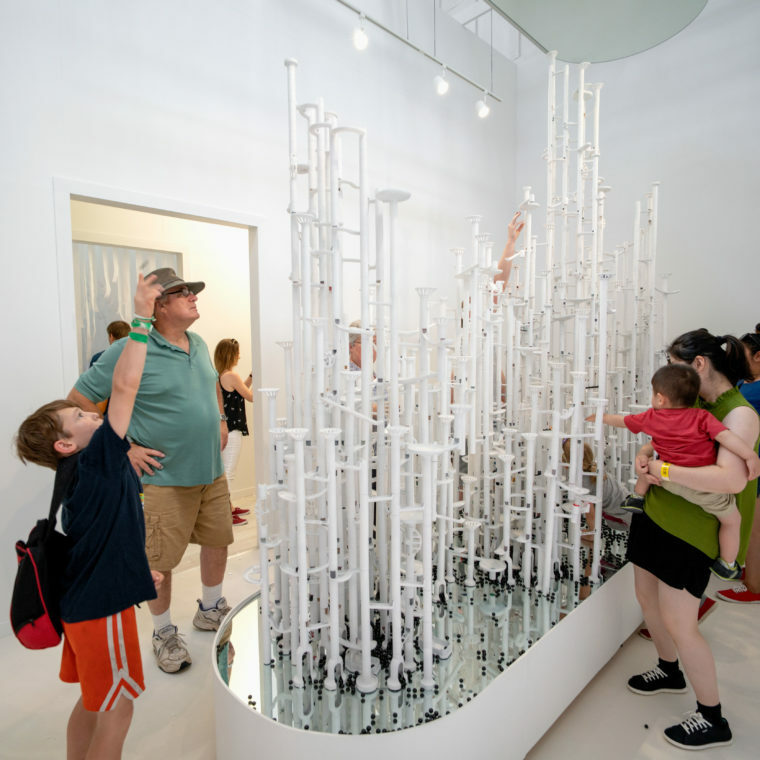 Fun House includes a sequence of interactive rooms featuring well-known Snarkitecture environments and objects, like Dig (2011) and Drift (2012), as well as new concepts developed for the Museum. 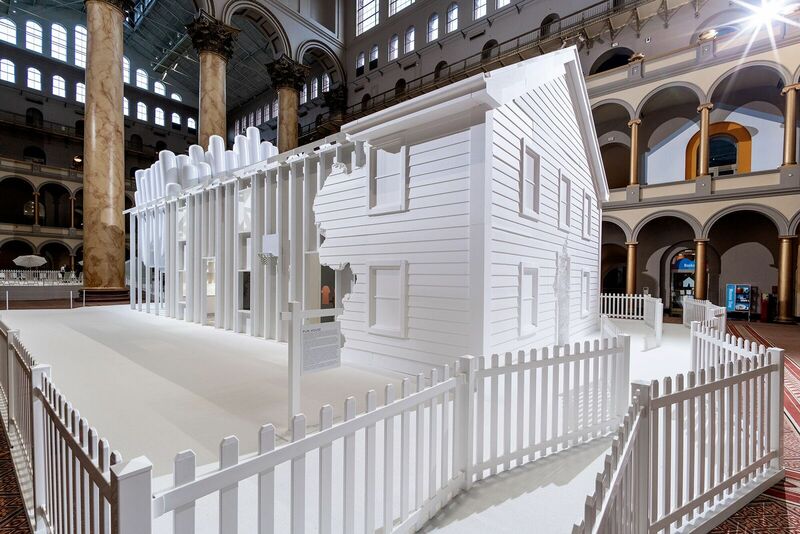 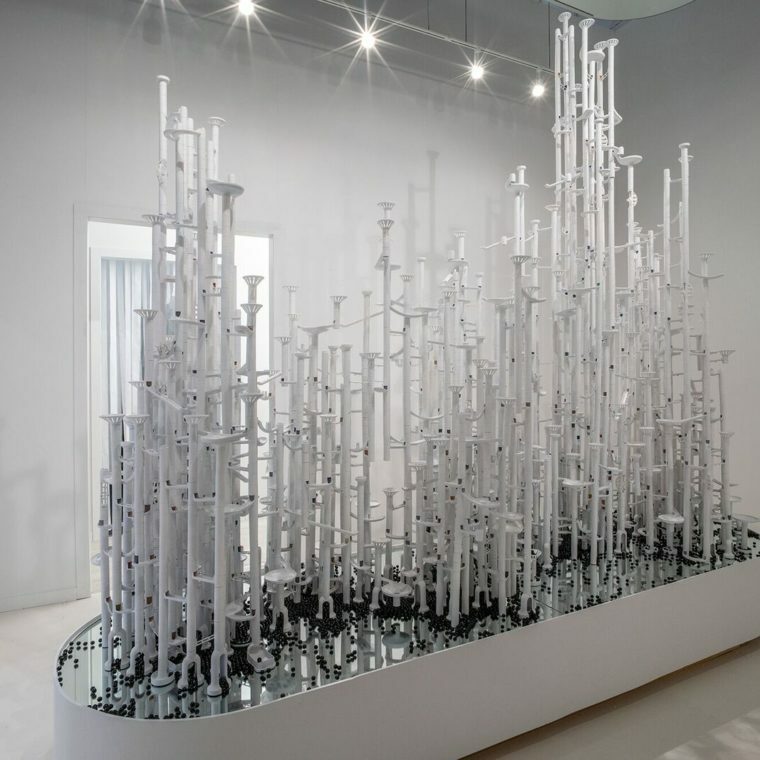 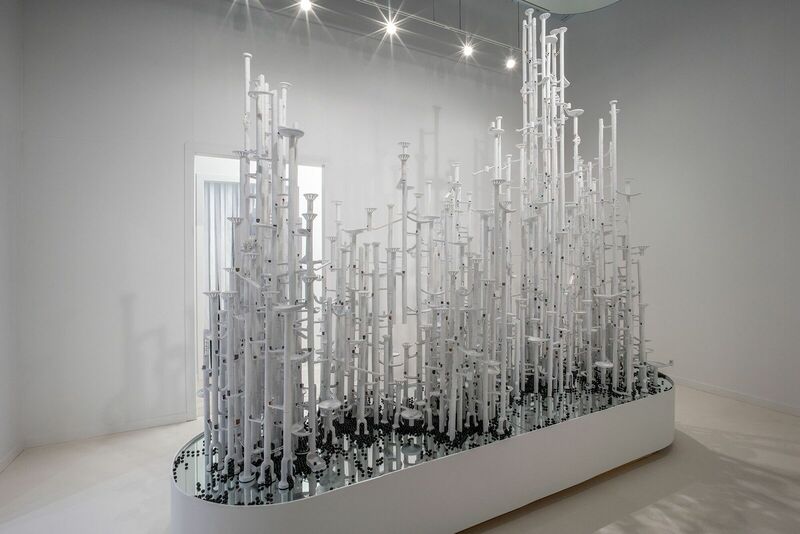 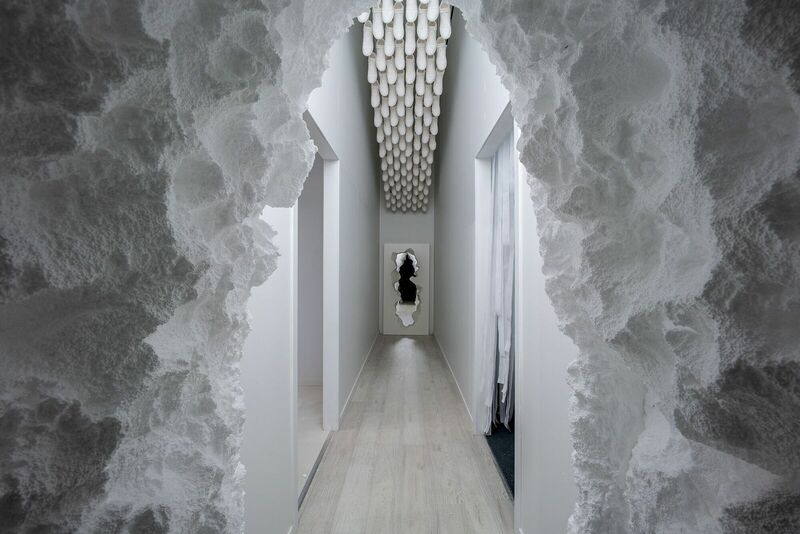 As visitors walk through the house, the rooms convey the ten year story of Snarkitecture while underlining the studio’s peculiar, yet accessible way of reinterpreting the built environment. 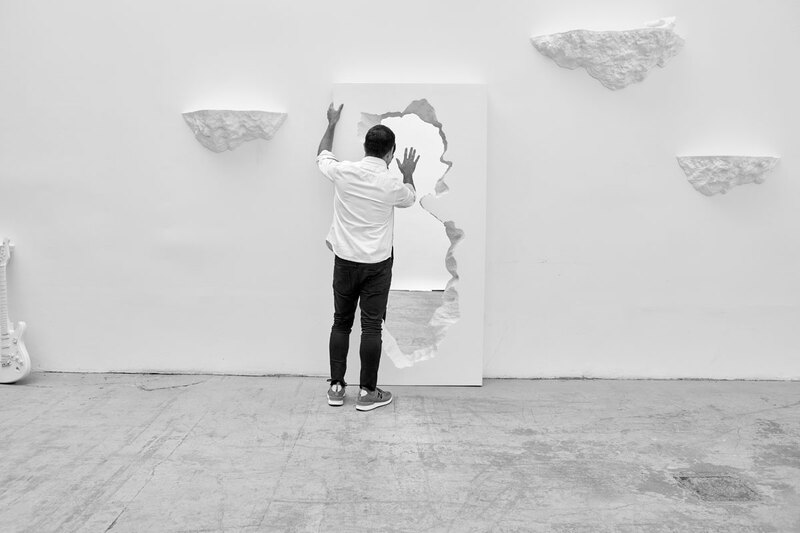 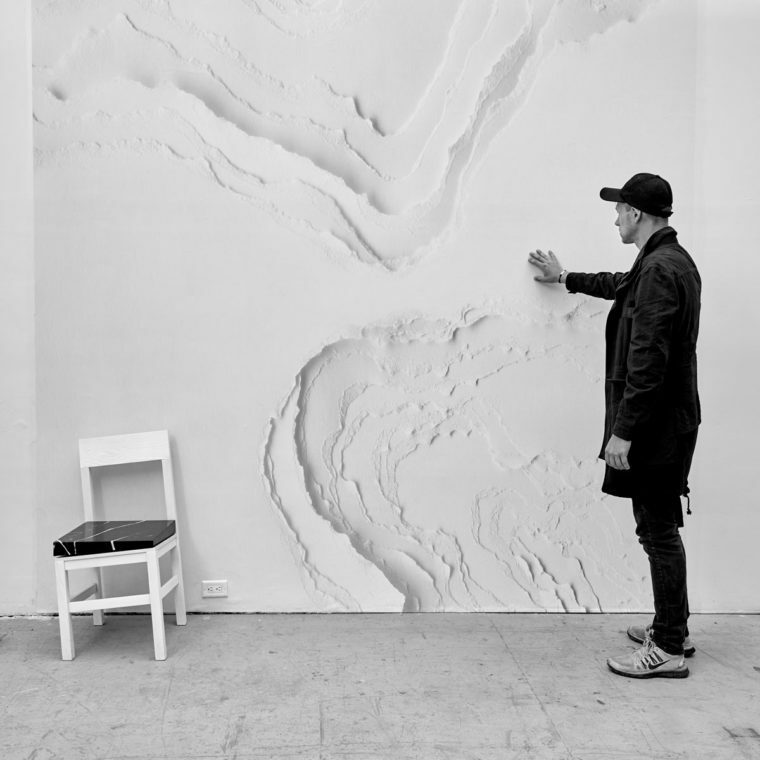 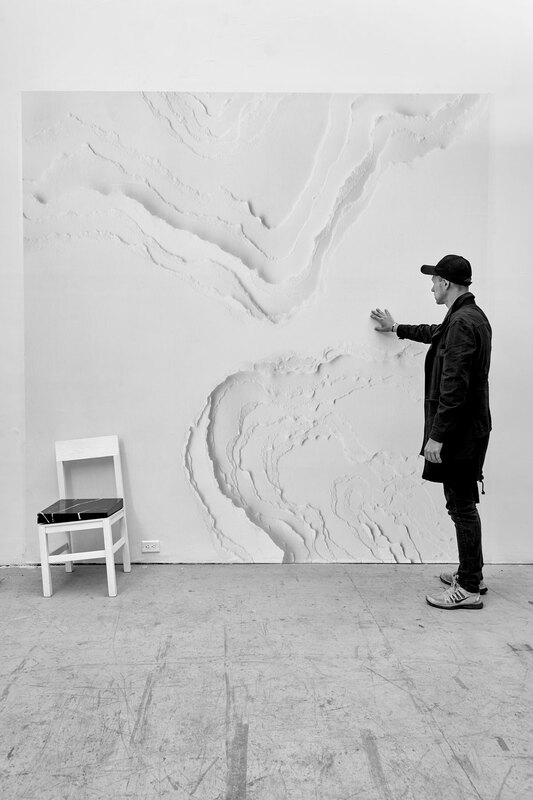 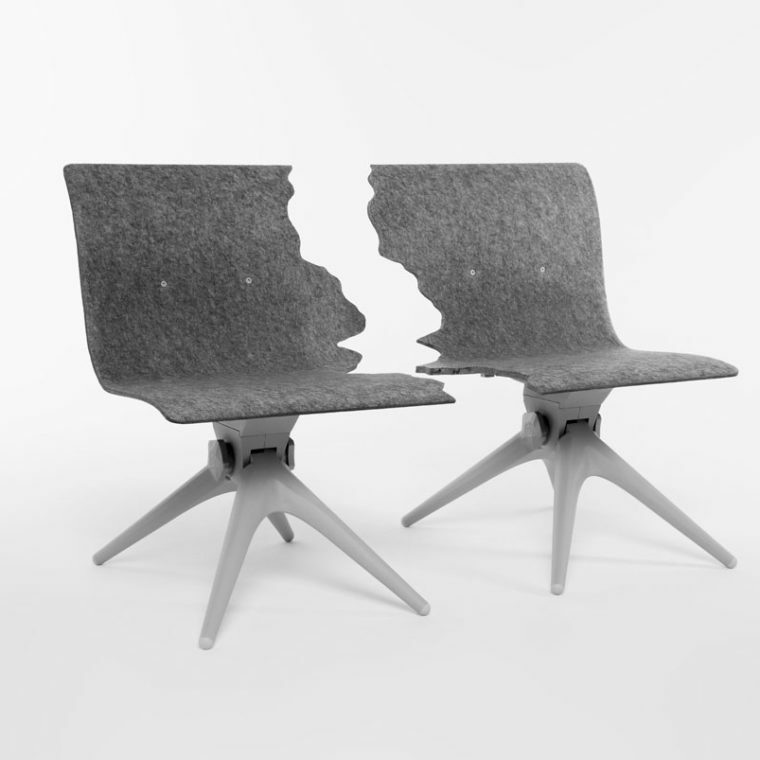 Founded in 2008 by Alex Mustonen and Daniel Arsham, and joined by partner Benjamin Porto in 2014, Snarkitecture is a New York- based collaborative practice operating between art and architecture. 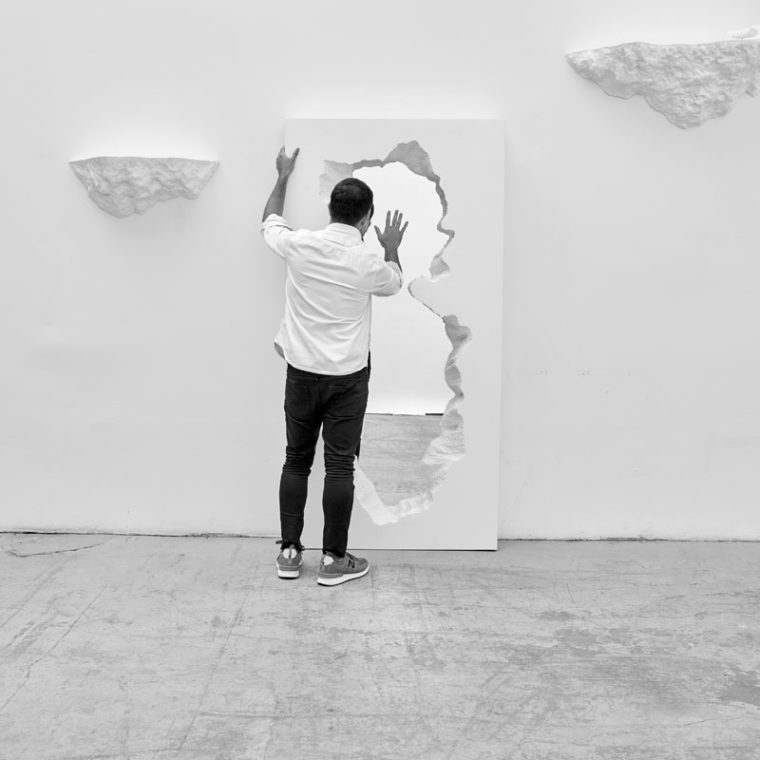 Best known for their playful approach to material and the reinterpretation of everyday objects and environments—from the raw, yet refined interiors of various Kith and COS stores to immersive installations at Salone del Mobile, the New Museum, Design Miami, and more—the studio’s tenth anniversary represents an opportune time to explore past work in a brand new format. 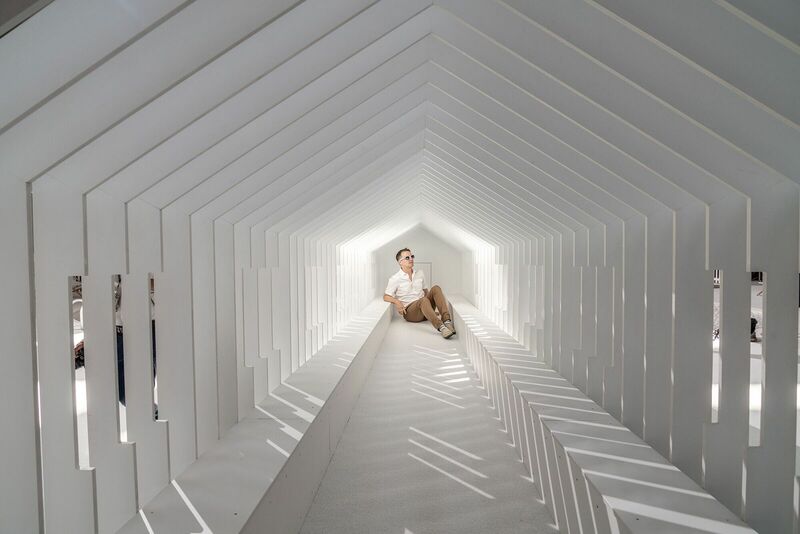 Fun House Photo by Noah Kalina. 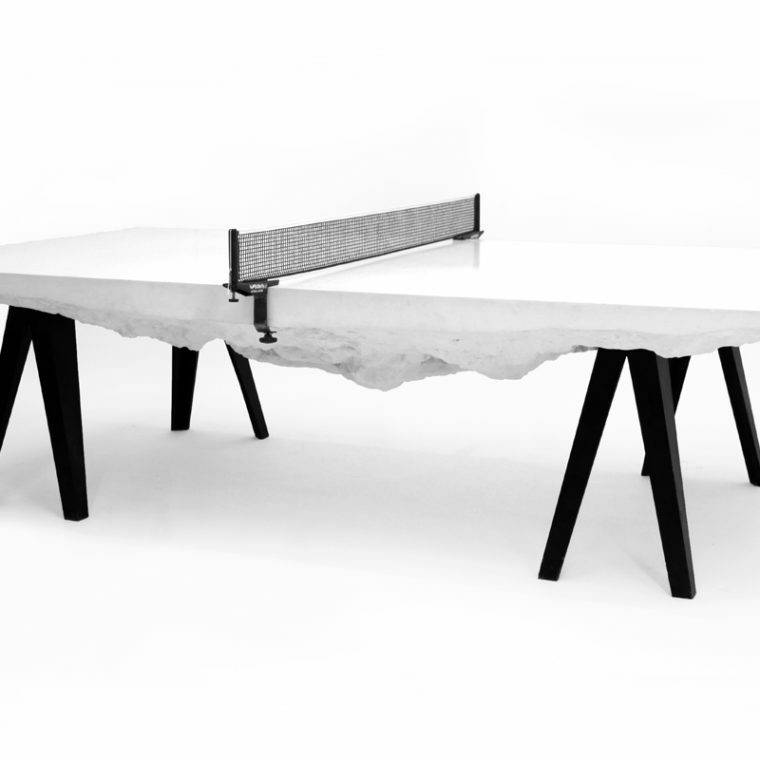 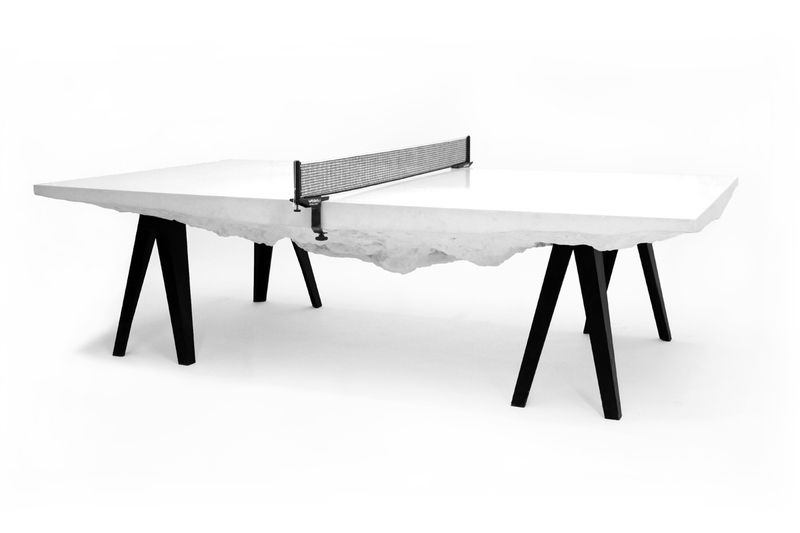 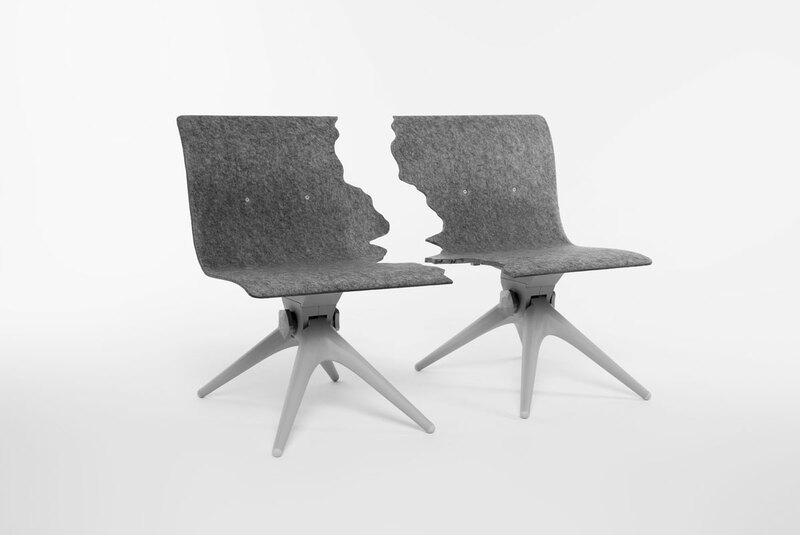 With special thanks to Caesarstone, DPR Construction and Phaidon.